Clean, refreshing tap water! (Sushanta Das – AP)The city’s water and sewer utility is wading into a minor controversy, urging inaugural planners to reconsider the decision to serve out-of-state bottled water at official events in January.Earlier this month, Sen. Charles Schumer (D-N.Y.) — who is chairman of the 2013 Joint Congressional Committee on Inaugural Ceremonies —announced that cobalt blue bottles of Saratoga Spring Waterwould be served at inaugural events.This has prompted something of a row in environmental circles, with some activists decrying the ecological side effects of bottled water (the bottles, for one) and asking,what’s wrong with tap?Now D.C. Water has written Schumer asking him to reconsider importing his home-state H2O — the latest in an ongoing campaign to encourage tap water consumption by a utility endeavoring to repair its water’s sullied reputation. Hawkins offers to provide free reusable water bottles and free water testing in congressional buildings. While a treatment change by the system’s federal water suppliercaused lead to leach from pipes in many homes last decade, the chemistry has long since been readjusted and recent testing has indicated D.C. tap water is perfectly safe to drink. In related news, the utility wants city residents to take the “D.C. Water Challenge” — that is, a series of blind taste tests challenging tasters to tell the difference between the bottled stuff and tap. More information on dates and locations can be found at dcwater.com. “at least 75 million gallons per year.” Of particular concern, because it includes Nestlé drilling an additional well. But the first step is to call for an extension of time for public comment and for a public hearing. September. Also call for a public hearing. specific comments which will go to the staff and Commissioners. http://www.maine.gov/mpuc/online/index.shtml The case number is 2008-00052. Here are a few talking points. Labor Day weekend is totally unacceptable. attorney at Pierce, Atwood from 1992-2003, the last four years as a partner. • Water is a fundamental right for people and nature. Nestlé’s profit should not come before these fundamental rights. This agreement includes Nestle’s drilling of an additional well. bottle and ship around the country. • This proposed 25-year contract would set a precedent for the state. Nestlé could refer to this in future cases anywhere in the state. Water is a fundamental right for the people of Maine and their grandchildren, for the fish and other wildlife in our state, and for the farmers who feed us all.Fresh, potable water will surely become the scarcest resource on the planet during the 21st century. Allowing corporations to gain access to Maine’s incredible aquifer for profits to benefit their shareholders does not and should not come before these fundamental rights.The issues around allowing the Nestlé corporation broader access to pumping out and bottling Maine’s water as a consumer product are fundamental to life as we have known it here. Therefore, the public comment period for Case 2008-00052 must be extended at least to the end of September, 2012. The original period of two weeks during peak vacation time and over Labor Day weekend is unacceptable. Further, it creates the impression that the Maine PUC is attempting to limit public input into this important decision. Also, PUC Chairman Thomas Welch and Commissioner Littell should recuse themselves from this case due to their past association with Pierce, Atwood which has a long history of representing Nestlé. Commissioner Littell was an attorney at Pierce, Atwood from 1992-2003, the last four years as a partner. Under the proposed change, only the Fryeburg Water Company (FWC) would have the power to decide if there is a water shortage in Fryeburg allowing less water to be sold to Nestlé. Local residents and businesses would have no say in how to manage future water shortages. Note that FWC has a financial interest in denying there is any shortage, so that town residents and local businesses could suffer water shortages while Nestlé enjoyed its guaranteed 75 million gallons per year to bottle for profit. This proposed 25-year contract would set a precedent for the state. Nestlé could refer to this in future cases anywhere in the state. This suggests itself as a reason why the contract is being rushed through the PUC approval process. In the not so distant future, farmers and private landowners in the Pacific Northwest could be paid to plant trees to generate shade in watersheds that fail to meet cold water standards for salmon. Two conservation groups, The Freshwater Trust and The Willamette Partnership, have worked with the Oregon Department of Environmental Quality to develop a credit market for reducing water temperature in Oregon. Now the groups have received $1.5 million from the U.S. Department of Agriculture to expand the project to Washington and Idaho, and to create a standardized thermal credit trading market similar to the existing carbon market. According to the EPA, more than 35,000 miles of streams and rivers in Oregon, Washington, and Idaho are impaired by warm temperatures. Proponents of thermal credit trading say the system will create an incentive for cost-effective conservation activities, like tree planting and reducing agricultural diversions, that cool water. This spring, President Obama gave a shout-out to a novel thermal credit program in Medford coordinated by the Freshwater Trust. Instead of requiring the city’s wastewater treatment facility to install expensive cooling towers to avoid dumping warm water into the Rogue River, Oregon DEQ approved a thermal credit trade. The wastewater treatment plant will purchase credits from farmers and landowners who agree to plant trees along a 40 mile stretch of the Rogue River, shading and cooling the watershed. The Freshwater Trust is overseeing the thermal credit swap using a tool developed by DEQ called the Shade-o-lator) to calculate exactly how much new shade to create and how many trees to plant to counteract the warm water discharged by the wastewater plant. DEQ is requiring the wastewater facility to purchase two units of cooling credit for every one unit of heat it contributes to the Rogue River. The Freshwater Trust and the Willamette Partnership will use the grant to work with regulators to develop a unified set of standards to govern thermal credit trading in the Northwest and to recruit participants into the new market. In theory, if state regulators agree to the approach, power plants and wastewater treatment facilities could buy the credits to help comply with Clean Water Act temperature standards. The Freshwater Trust aims to develop similar credit trading protocols for other types of water pollution, in particular nutrient and phosphorus pollution, but says that temperature is the easiest water quality problem to tackle with a credit trading market. Don’t be fooled, they are trying to sweep it under the rug before the November elections. AUGUSTA, Maine — Concern about whether the construction of an east-west highway through rural central Maine would require the taking of private and public land has prompted a longtime supporter of the project to ask Gov. Paul LePage to slow it down. Democrats characterized Monday’s development as “political cover” against a concept that has proven to be unpopular. Sen. Doug Thomas, R-Ripley, said Monday that he asked LePage on Friday to suspend a Maine Department of Transportation feasibility study on the project until at least the next legislative session, when Thomas expects to sponsor a bill in an attempt to change Maine’s constitution to bar eminent domain takings of private property. Eminent domain is a legal mechanism that allows government bodies to take private property, usually paying fair market value, in order to accomplish projects that are deemed to be for the public good. Thomas, an eight-year member of the Legislature’s Transportation Committee, said he supports the east-west highway proposal being pushed by Peter Vigue, chairman of Cianbro Corp. in Pittsfield, but only if it can be accomplished without any eminent domain takings. 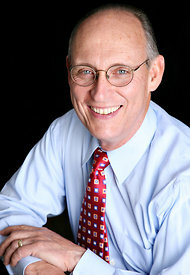 Thomas sponsored a successful bill in the last legislative session that called for the Maine Department of Transportation to conduct a feasibility study on whether an east-west toll highway can support itself while creating jobs that would slow the outmigration of young people from Maine. The study will cost the state an estimated $300,000. Rep. Herbert Clark, D-Millinocket, who is running against Thomas for the Senate District 27 seat in the November election, said Monday that Thomas is seeking “political cover” from an issue that is unpopular with his constituents. Clark was a sponsor of Thomas’ bill calling for the feasibility study in the last legislative session but he said Monday he regrets signing onto the bill without first doing more research. Clark said if elected he will work to repeal it. Rep. Edward Mazurek, D-Rockland, ranking Democrat on the Transportation Committee and its former chairman, said Monday he opposes the project and couldn’t think of any circumstances that would change his mind, though Mazurek also supported the bill calling for the feasibility study when it was in committee, but voted against it in the House. Thomas responded to those comments by saying he is merely trying to ensure that enough information comes to light to help people — both in government and private citizens — make the right decisions. Vigue said Monday he supports both of Thomas’ initiatives and repeated a pledge he has made before: That the east-west highway project can be accomplished without any eminent domain takings and without encroaching on public lands protected by conservation measures. Vigue said he is studying various routes for the 220-mile highway through Maine and that his chief criteria are cost-effectiveness, efficiency and a route that is as unobtrusive as possible to private property owners and public lands. Vigue proposes to develop the highway as a private venture, which he said is rare in Maine but becoming more common across the country as local, state and federal budgets are stretched. Thomas said he prefiled a concept draft of a bill on Friday that would outlaw eminent domain takings. He said such a change would require approval by two-thirds of the Legislature followed by a successful statewide referendum. Adrienne Bennett, director of communications for LePage, said Monday that while the governor is a supporter of the east-west highway project in concept, he agrees with Thomas about personal property rights and the dangers of eminent domain takings. Bennett said LePage demonstrated his opinion on private property rights by supporting a controversial legislative proposal earlier this year, known as the “takings bill,” which would have allowed property owners to sue the state if any new regulations lead to a loss of 50 percent or more in property value. The bill, which had strong Republican support, was killed in the Senate in May, with some legislators suggesting it needs more work in the next session. Bennett said the governor’s staff will meet with officials from the Department of Transportation this week to discuss the timing of the east-west highway feasibility study. Ted Talbot, spokesman for the Maine Department of Transportation, said the department has been evaluating and re-evaluating what the scope of the study should be, and it has been growing. “We are aware of Sen. Thomas’ press release and we are looking into how it impacts the study,” said Talbot. Thomas said his latest efforts around the project were attempts to keep constituents informed. Eastern Region Informational Meeting this Sunday! The public is invited to attend. Information will be provided about the proposed East-West Highway (a 220-mile privately owned, toll highway from Calais to Coburn Gore). Coalition members will share information, concerns, and suggestions for getting involved with this issue, followed by public questions, concerns, and comments. Learn what has so many Maine citizens concerned. Directions: The bridge to Penobscot Nation/Indian Island is located off Route 43/ North Main Street in Old Town; After crossing bridge to Indian Island, turn right at the first stop sign (onto Bridge Street); continue for approximately ½ mile; Community Building is located on the right just beyond the Indian Island School; ample parking in the front lot. The speed limit on Indian Island is 20 miles per hour. “We the citizens of Maine love the place we call home. Stop the East-West Corridor Coalition members in the New York Times! 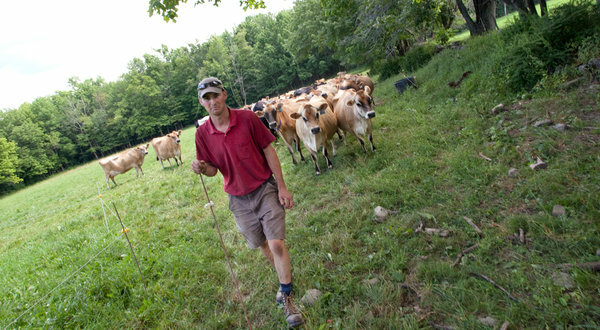 Ross Ludders of Charleston, Me., rotating dairy cows into a new grazing area at Clovercrest farm. The problem in Maine is that most of its major roads run north-south. Very few run east-west, which makes traversing the state one long, slow slog. Peter Vigue, the chairman and chief executive of the Cianbro Corporation, a large engineering and construction company based in Maine, is hoping to change that. He has proposed a $2 billion private toll road running 220 miles across the state. He says it could make Maine a vital link in the global economy, speeding commerce across the Northeastern United States to markets in the Midwest, as well as help revitalize the lagging local economy. The expansions of the Panama and Suez Canals make this highway even more urgent, he said in an interview last week. Bigger ships from around the world, carrying more cargo containers, will be looking for bigger, less congested ports on the East Coast, he said, and Maine already has one in Eastport. The idea of an east-west highway has been kicking around for decades. But Mr. Vigue’s proposal stands a good chance of becoming reality. As such, it has struck a raw nerve within the Maine psyche and has prompted a fierce debate over the state’s brand, character and future. Opponents say a major thoroughfare slicing through the state would destroy the very qualities of peacefulness, natural beauty and remoteness that make this region desirable in the first place. “It would just completely change ‘the way life should be,’ ” said Chris Buchanan, referring to the state’s unofficial slogan. Ms. Buchanan is the statewide coordinator for Stop the Corridor, a coalition opposing the highway. That is exactly what others hope Mr. Vigue (pronounced VIG-you) can achieve. “You can think small and be small, or you can think big and be big,” said Christopher M. Gardner, executive director of the Eastport Port Authority. Eastport has the greatest natural depth of any port on the East Coast, but it gets less traffic than many others. The main reason that Mr. Vigue — and his opponents — believe that his proposal could succeed now where others have failed is that it would be financed privately. “We have no state or federal participation,” Mr. Vigue said in the interview, “and we are confident that this is achievable.” He said he was in discussions with other private partners and was following a recent trend of more private industry involvement in highways around the country. “You find that cities, states and the federal government do not have adequate funding to support the demand for infrastructure,” Mr. Vigue said. But to the consternation of many, he has not specified the exact route from the east, in Calais, to the west, in Coburn Gore. He said he would buy and string together existing roads and rights of way; because the project is private, he cannot use the state’s right of eminent domain. For those reasons, he said, the corridor would not disrupt local communities. Bob and Joan Morrison moved their family from Southern Maine to a farm here in Charleston, a rural area about 25 miles northwest of Bangor, in the 1970s because they fell in love with the gently rolling hills. They also saw the area as affordable and thought it would keep its rural character. Their son Steve now lives in their original farmhouse with his own family, while Bob and Joan live in another house on the property, a dairy farm of about 1,000 acres. They sell their milk to an organic co-op that processes it in New Hampshire, but plan to start shipping it this winter to a new company in Maine. They grow a lot of their own food and prefer supporting the local economy to the global economy that Mr. Vigue envisions. “This area has been left behind, and that’s the way we like it,” Joan Morrison, 72, said as the family sat around the kitchen table. The Morrisons spend a lot of time poring over maps and trying to figure out where the corridor will run and how it will affect them. “Losses due to the proposed corridor will make it harder, not easier, for my business and other farms in the area to find quality fields to rent or buy,” said Steve Morrison, 47. Contrary to Mr. Vigue’s promises, the Morrisons see little benefit to Maine itself, beyond a few gas stations to serve the trucks that are hauling goods and waste for international conglomerates. Environmentalists say the road would be a “nightmare” for the land, air and animal habitats as well as for recreational activities. The private financing has also raised red flags. A 2009 report by the United States Public Interest Research Group Education Fund found that some other privately financed toll roads had failed, leaving taxpayers responsible. The next step here is a financial feasibility study, for which the Legislature has approved $300,000, to be reimbursed by the builders if the project goes ahead. The state is paying for the study because it has an interest in the economics of the project, said Ted Talbot, a spokesman for the Maine Department of Transportation; it is not being done for Mr. Vigue. Mr. Vigue would not say how much he expected to charge at the tollgates. He dismissed reports that the cost for the whole route could run as high as $100 for cars and $200 for trucks. “It will be financially attractive or people won’t use it,” he said. Once the feasibility study is done, Mr. Vigue said he expected to take three years for the permitting and design of the project and another three to build it. Tony Brinkley, a professor who works on economic development projects for the Franco-American Center at the University of Maine, said many in the state were torn over the proposal. There is scant information about the road, he said, and no one is really in a position to judge whether it would be more harmful or more beneficial to Maine in the long run, or whether it would help Canada at Maine’s expense. For everyone worried about wrecking Maine’s way of life, he said, others fear that doing nothing would leave the economy stagnant. An earlier version of a photo caption with this article misidentified a farm in Charleston, Me. It is Clovercrest Farm, not Culver Crest. Part 3 in my series about the proposed East-West Highway is an extensive interview I conducted with Chris Buchanan. Chris is the organizer of a coalition to oppose the East-West Highway, more aptly called a “corridor,” as you will discover in this interview. Chris explains the real motives and corporate incentives behind the hidden agenda of this corporate assault on the State of Maine, and explains the devastating consequences to the environment, wildlife, local communities, and our heritage. You will also see clips of Peter Vigue, CEO of the Cianbro Corporation based in Pittsfield, Maine. Chris describes him as bullying his audience, somewhat paternalistic, and unwilling to listen to local citizens, farmers, and landowners. He appears stiff and condescending when people disagree with his grand vision. He promises prosperity for Maine – even quoting from Field of Dreams when he tells the locals, “if you build it they will come.” He adds, “if you don’t build it, they won’t come.” That will be a very good thing for Maine if they don’t come. “They” refers to the multinational corporations bent on extracting our resources and dominating the planet. We can’t let this happen here in Maine. This is our opportunity to protect our state from this corporate pillage, and to stop the insidious, unsustainable, and suicidal onslaught of corporate greed. This coffee addiction of ours might be getting out of hand. A study out of Portland State University found that water just off the coast of Oregon is slightly caffeinated — even though that’s not its natural state. Scientists think the water is contaminated with caffeine because of sewage seeping out to the ocean and septic runoff. They’re calling it caffeine pollution, and it comes from humans. The study, headed by graduate student Zoe Rodriguez del Rey, indicates that high rainfall and sewer overflows — sometimes in state parks — flush contaminants out into the ocean. Caffeine levels were measured at 14 coastal locations in Oregon, some of which were near wastewater treatment plants, towns and streams emptying into the ocean. The study found high caffeine levels near Carl Washburne State Park (Florence, Ore.) and Cape Lookout, two areas not near the potential pollution sources, yet low levels of caffeine near large population centers like Astoria/Warrenton and Coos Bay. High levels were also found following a late-season storm of wind and rain that triggered sewer overflows. The primary source doesn’t seem to be waste-treatment plants as suspected. So, is it Oregon’s fault? Looks like it, but that state isn’t the only offender by far. Other studies have noted caffeine in other bodies of water, including the North Sea, the Mediterranean Boston Harbor, Sarasota Bay in Florida and Puget Sound.